Registration Open For REM 2017! Act before Wednesday, June 14th and take advantage of Super Early Bird pricing—nearly $500 off the week-of rate! The REM 2017 Call for Abstracts ends next Tuesday, May 16. 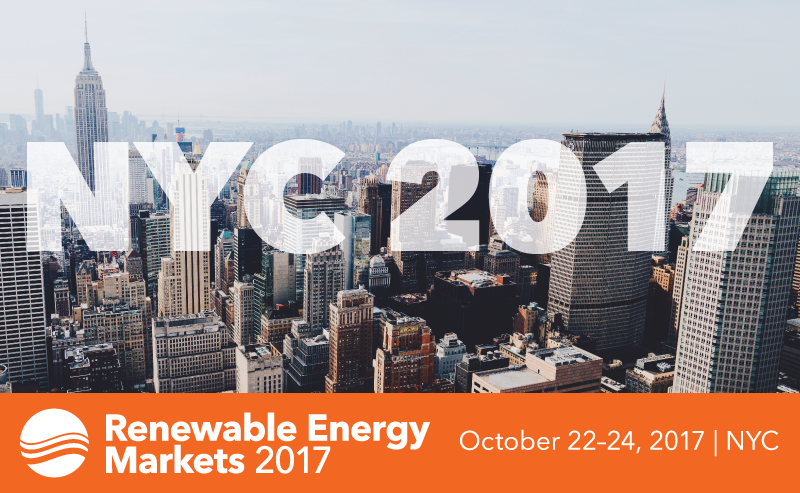 Don't miss this extended opportunity to speak at Renewable Energy Markets 2017, the most important annual conference for the clean energy market. We are seeking abstracts for panel sessions that are timely, unique, and informative. Sessions should be as discussion-oriented as possible, although some will need to feature presentations. We'd like sessions to feature new data or ideas, consideration of important issues, and most importantly, fresh and informed thinking about where renewable energy markets are headed. We're looking for dynamic, engaging speakers with a compelling story to tell. Older PostAre You Speaking at Renewable Energy Markets 2017?